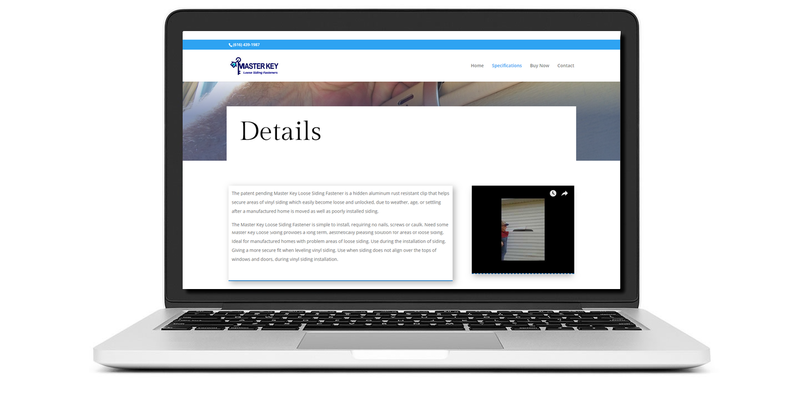 A one person, owner/inventor company with gets a solid online presence with help from Pegasus Ventures Michigan, tap here to visit Master Key Loose Siding Fasteners. 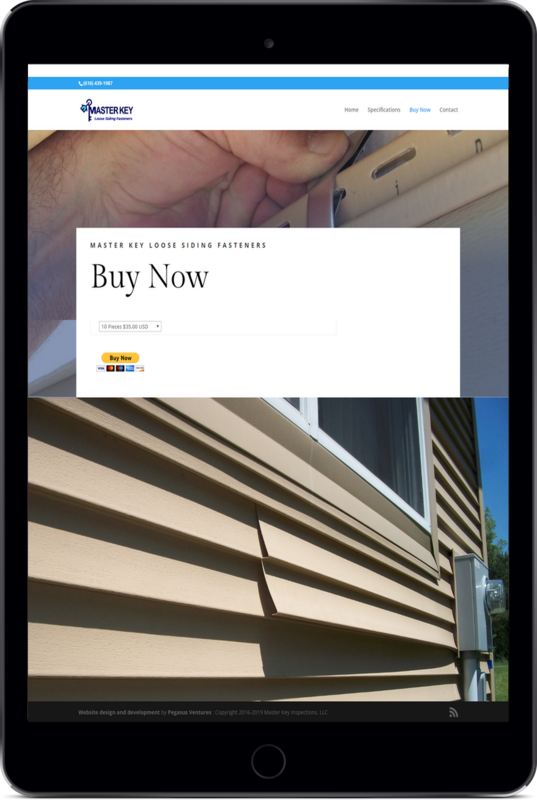 Pegasus Ventures Michigan helps the owner/inventor of a new product designed for home and trailer owners to fix loose siding on their homes sell his loose siding fasteners online. 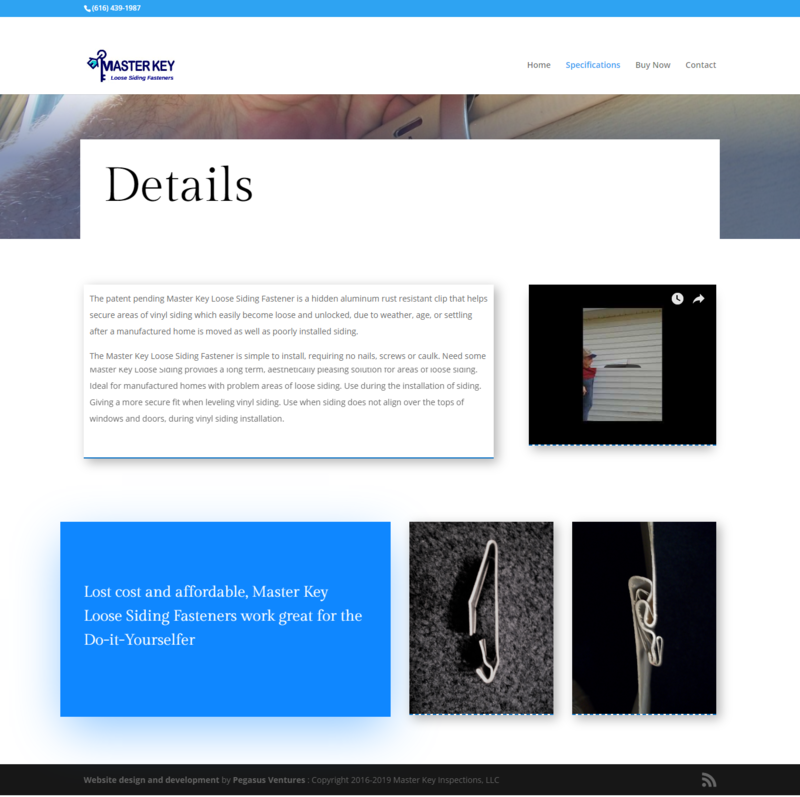 The simplicity of the website pays off for this Pegasus Ventures Michigan customer with a short workflow from website to sale. Orders, come in, orders get boxed and orders get shipped. Integration from Pay Pal makes e-commerce super simple for this client on a website designer by Pegasus Ventures Michigan. Pegasus Ventures Michigan suggested Pay Pal. Pay Pal processes every credit card, charges their fees up front and puts the money into an account with a debit card making the cash available to our client instantly.